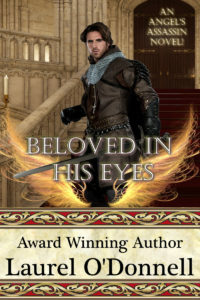 Beloved in His Eyes sample chapter Coming Soon! “Laurel O’Donnell does an amazing job of weaving a story to hold you attention and your breath at times until the last page. This is the tale of Gawyn, brother of Damien from the Angel’s Assassin. I was so glad to read his story because I knew that it would be intriguing.